Three siblings board the subway in New York City and find themselves on the time-traveling ship, the Vermillion, bound for 1911 Paris! 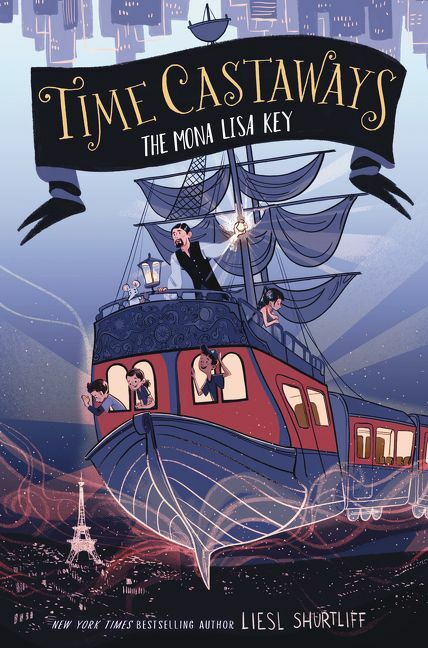 From Liesl Shurtliff, the New York Times bestselling author of Rump: The True Story of Rumpelstiltskin, comes a thrilling new middle grade trilogy about three city kids who get on the wrong subway train and wind up on a wild, magical mystery-adventure throughout time. Imaginative, daring, and packed with fun, Time Castaways is perfect for fans of Escape from Mr. Lemoncello’s Library and Percy Jackson.